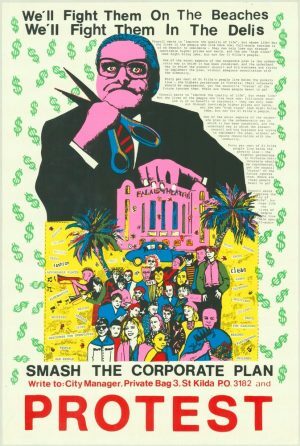 The Library’s RedPlanet Archive consists of political and social advocacy posters, ephemera, photographs and the business records from Melbourne poster presses. Two organistaions, the Red Letter Community Workshop and Another Planet Posters combined to become RedPlanet Press. The combined histories of these organisations span from the 1970s to the late 1990s. The history of RedPlanet cannot be separated from the late 20th Century history of collectivism and Community Arts. The makeup and operations of Australia’s poster workshops were heavily influenced by Sydney’s Earthworks Poster Collective. 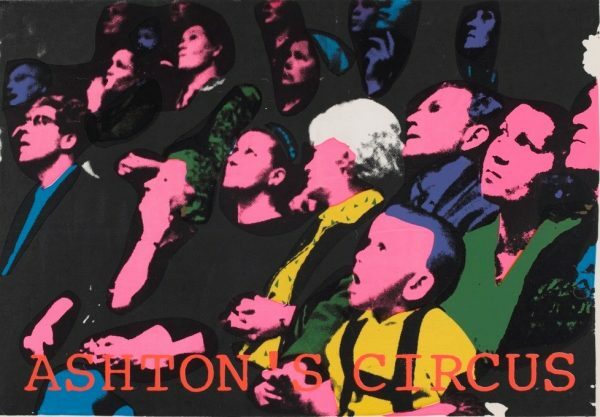 It was the first poster collective in Australia, operating for eight years from 1972-1980. Poster collectives operated on a democratic basis and decisions were made collectively. Usually the philosophy of these groups was based on leftist politics and the feminist principles. 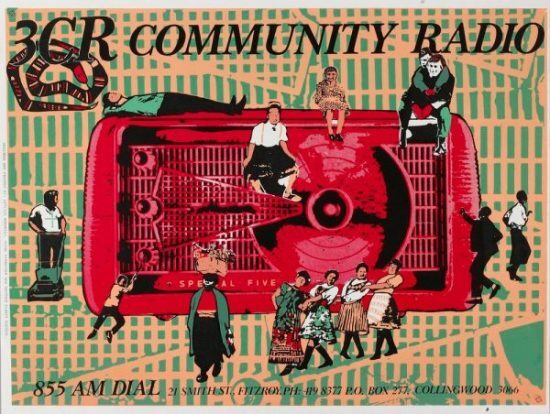 The philosophical beliefs led to the formation of community arts programs and a policy of providing access to the means of image and message making to the local population. Community arts received official support with the election of the Whitlam government when the Community Arts Committee of the Australia Council was established in 1973. Poster collectives usually had three main functions. Firstly they provided access to modes of creative and political expression that were unavailable to many sections of the community. Community groups and individuals were encouraged to do their own designing and printing, using the workshop’s facilities. Secondly, issues-based projects were initiated and co-ordinated by the artworkers, in consultation and collaboration with community groups. 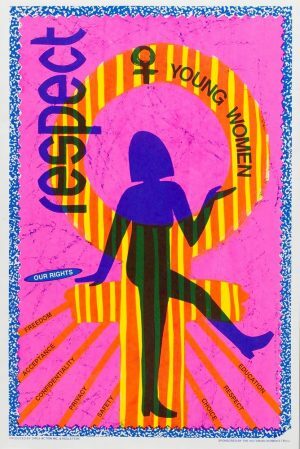 The artworkers were commissioned to design and print posters, pamphlets, postcards, t-shits, banners and fabric. 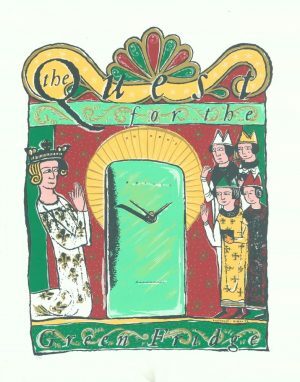 Lastly there was the production and dissemination of ‘house posters’ which involved artists working ‘in-residence’ to develop their own styles and techniques on more aesthetically experimental work. These works usually had lasting artistic merit, and served as a means to gain fame and enhance the reputation of the workshops for design excellence around Australia and the world. 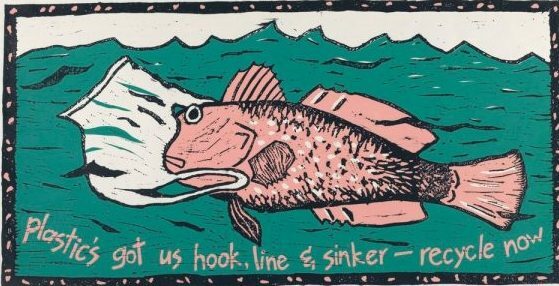 Carole Wilson, Plastic’s got us hook, line & sinker – recycle no, Another Planet Posters, 1992, H2000.185/277. 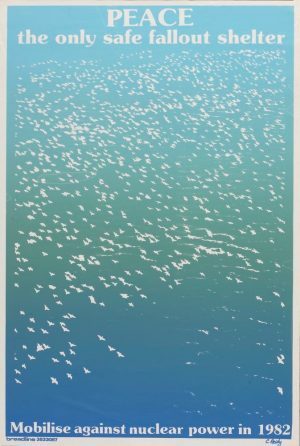 This image won the prestigious Special Jury Prize at the 1992 3rd Chaumant Poster Festival in France. 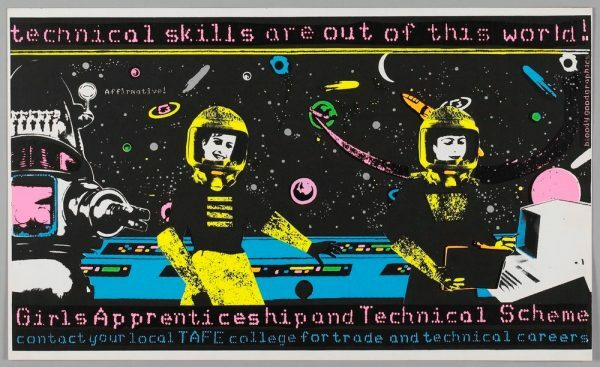 The years 1992 and 1993, when RedPlanet artists produced 24 house posters, can arguably be called the golden years of poster design in Australia. The organisation was invited to participate in a number of exhibitions including at the National Gallery of Victoria, the Melbourne Arts Centre, the Chaumant Graphic Exhibition in Paris and the Lahti X Poster Biennale (Finland). 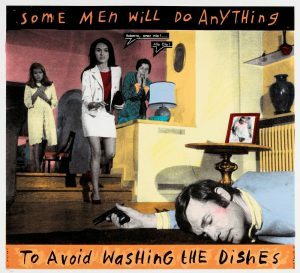 Images: Carol Porter, Some men will do anything, RedPlanet Posters, 1993, H94.112/28; Carol Porter, Beautifully Slim, RedPlanet Posters, 1992, H94.112/21. This poster was short listed for a prize from over 2500 entries in the Lahti X Poster Biennale (Finland). 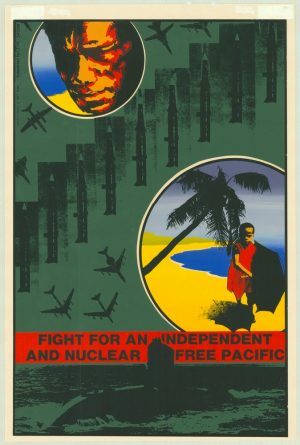 The aesthetic lineage of these political posters can be traced back to the irreverence of European Dadaists and Surrealists, and the counter-propaganda posters from Paris in 1968. Later designs from the 80s and 90s drew their influences from Pop Art and the ‘trash aesthetic’ of Punk. 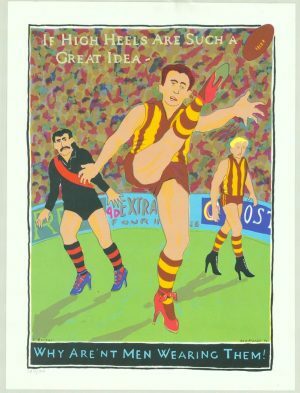 Images: Carol Porter, The Footy Poster, RedPlanet Posters, 1994, H96.27/11; Nicholas Mau, The Green fridge, RedPlanet, 1992, H94.112/14. 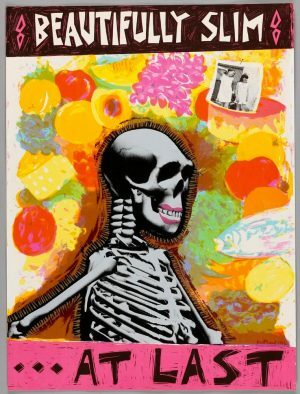 In Victoria, RedPlanet proved that the production of hard-hitting, satirical and intelligent political posters went a long way toward expressing the voice of radicalism and the counter-culture. In 1999 RedPlanet invited the Guerrilla Girls to Melbourne to run a series of screenprinting workshops and lectures. The Guerrilla Girls is a New York women’s collaborative established in 1985. Its members have remained anonymous by wearing gorilla masks and assuming the names of dead women artists. They have developed a strong voice – always with a sense of humour – on all aspects of inequality that affect women around the world. 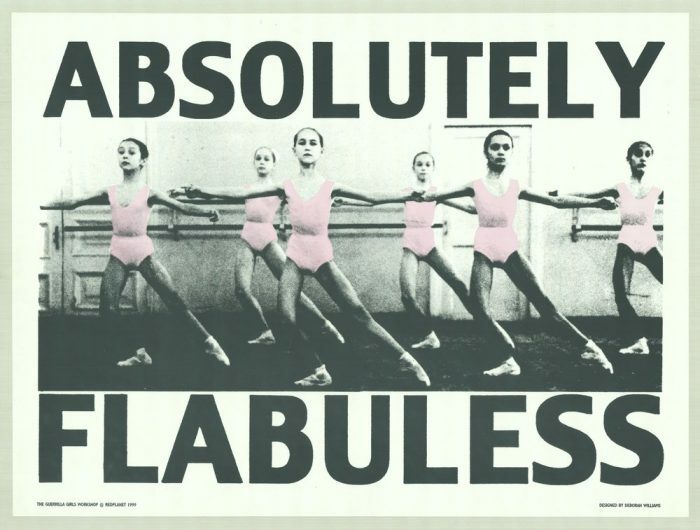 The Melbourne Guerrilla Girls Workshops resulted in a series 13 topical and witty posters by various artists on themes like body image, the art world and the political climate in Victoria. Having been unable to secure a viable income source at a critical point in the late 1990s, when the Australian Council withdrew its funding, RedPlanet Press ceased to exist in 1999, and its archive was acquired by the State Library. Over 900 RedPlanet images (mostly posters) have been digitised. This post is based on the essay by Olga Tsara, “The Art of Revolution: Political posters in the RedPlanet archive”, La Trobe Journal, No 75, Autumn 2005, pp. 94-112. A friend sent this link onto me. A really good article – you have captured what occurred really well. Thanks. The State Library was very active in ensuring that posters of that era were collected and documented – good on them! “Over 900 RedPlanet images (mostly posters) have been digitised.” The digitised link goes to a search page with 0 results. Just fixed the link. Thank you so much Mandy.